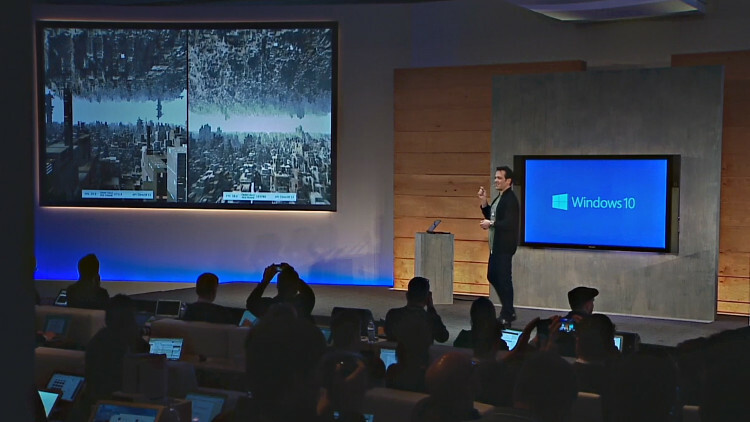 Did you watch Microsoft's Windows 10 briefing on January 21? In front of the world's press and streamed live to viewers around the globe, Microsoft used our new API Overhead feature test to show the benefits of DirectX 12. This new test, coming soon to 3DMark, is the world's first independent test for comparing the performance of DirectX 12, Mantle, and DirectX 11. Watch the full webcast here. The DirectX 12 segment starts at 1:16:40. Games make thousands of draw calls per frame, but each one creates performance-limiting overhead for the CPU. APIs with less overhead can handle more draw calls and produce richer visuals. Microsoft's demo shows DirectX 11 and DirectX 12 running side by side on the same hardware. As the number of draw calls increases, DirectX 12 is able to handle greater complexity and detail while achieving higher frame rates than DirectX 11. We're thrilled that Microsoft chose our new API Overhead feature test to show the benefits of DirectX 12. And soon you will be able to test your own PC and see the difference yourself. Find out more and check for updates here.